Chiang Mai is one of the most popular cities in Thailand as the capital of the Lanna Kingdom and is also known for its delicious, authentic cuisine. Those who are exploring the area can immerse themselves in the culture by sampling the dishes that are offered at local restaurants and trying new spices and flavors. When you’re traveling to Chiang Mai, there are a few top restaurants to include in your itinerary where you can try different types of Lanna food, which dates back 700 years. Before heading to dinner if you consider treating yourself on a relaxing day just stop by Heavenly Nails, one of Chiang Mai’s top rated salons for a foot spa. Huen Jai Yong is hailed for its authentic Lanna food and is located 30 minutes south of the Old City, which is easy to reach by taxi. Located in an old timber house, the setting is rustic and eclectic with several air-conditioned rooms available for patrons. Thai celebrities frequent the restaurant due to its excellent reputation in the local area, which means getting the chance to spot a few familiar faces. 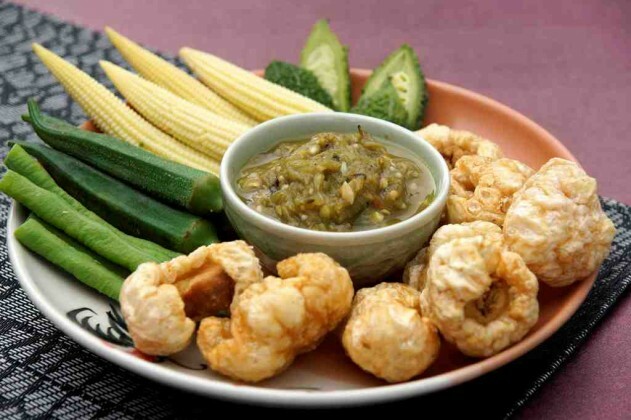 Some of the top dishes on the menu include roasted green-chili relish, pork crackling, and aromatic gaeng hang lay. An English menu is available, although the staff doesn’t speak the language when it’s time to order. The food proves to be authentic Lanna cuisine because it isn’t spicy but delivers a sweet flavor that isn’t overpowering. The Northern Thai dishes are cooked with freshly squeezed coconut milk and ground rice that is made into a flour. The noodles are also boiled and fried, and the dippings include Nam Prik Noom and Nam Prik Pra Ji with fresh vegetables. The dishes are available in small portions, which makes it easy to try different items on the menu and have more options with what is ordered. 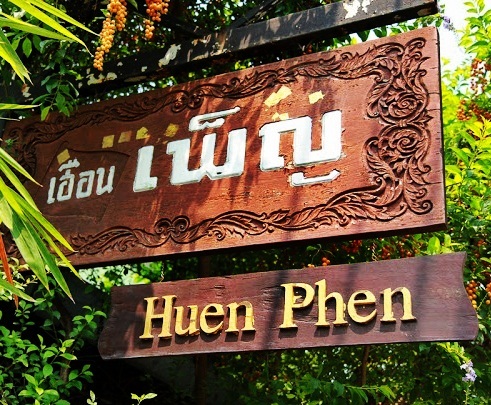 Located on Rachamankha Road, Huen Phen serves Northern Thai food in an eclectic setting that resembles a museum with hundreds of fixtures and decor items on display in the restaurant. Inside, you’ll find Thai memorabilia, statues, figurines that create an entertaining and cozy place to dine in while grabbing a bite to eat. The establishment is famous for its Khao Soi noodle soup dish, along with ‘Aeb Pla’ fish grilled with sweet basil and wrapped in a banana leaf. On warm days, try the cucumber or papaya salad. 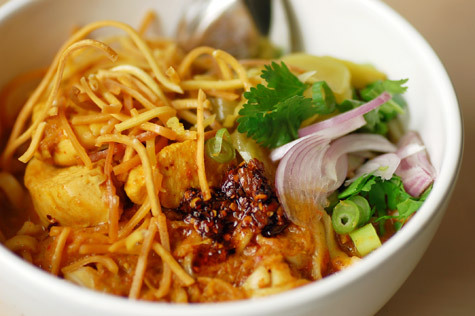 The cooking is more authentic than other restaurants in Chiang Mai with plenty of flavors offered in each dish. The restaurant is open two times a day with different menus provided. The food is served in a canteen style area during the day and at night the establishment is transformed into a romantic restaurant with dim lighting and antique decorations on display. Tong Tem Toh is a highly-rated restaurant in Nimman that is notable for the enticing barbecue that sits in front of the establishment. It’s one of the most appealing places to dine in the city because it’s an open-air restaurant that includes plenty of wooden chairs for guests. 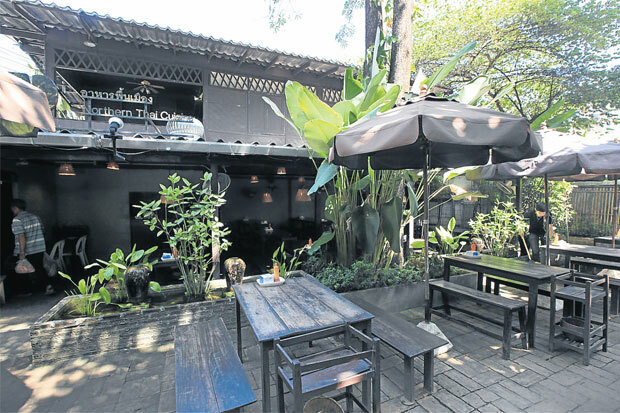 The restaurant is located in an unpretentious garden of a teak house and is often packed with plenty of patrons during the morning, noon, and night due to its incredible cuisine and ambiance. Recommended dishes on the menu include Nam Prig Ong, grilled pork neck, and the spicy chicken curry. All of the extensive dishes that are on the menu are spicy and are packed with flavor, which pairs well with beers and mixers from the on-site bar. Those who are more adventurous can order a few dishes that include ant eggs and snake heads but don’t disappoint. 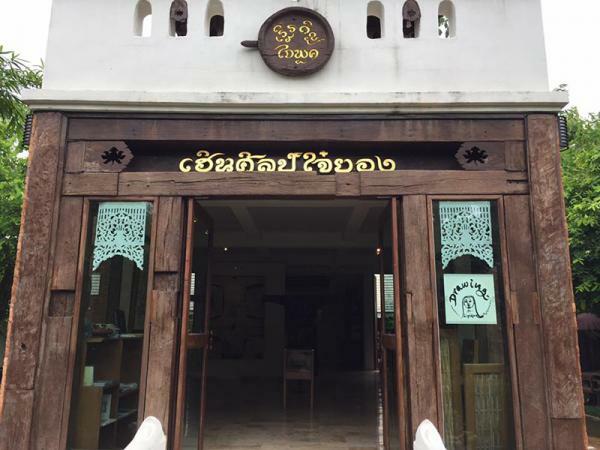 Lanna Thai cuisine is favored by both locals and tourists because it offers sophisticated depth and breadth and is found in the mountainous region of the country. Curry spices, chili paste, cilantro, fresh slices of ginger, and garlic are commonly used in many of the dishes that are served at top restaurants in Northern Thailand.